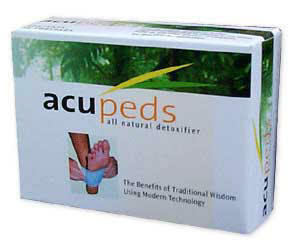 Acupeds Detox foot pads are the premier foot pads in the United States. We have received confirmation from our customers on this who have tried other pads and mention that they prefer Aqupeds. As you can imagine we are approached by several companies to sell very inexpensive their foot pads, but we have decided against them. Over 10 million Detoxification foot pads are sold each month in Asia and their popularity is based on the belief they can help your body combat fatigue, improve circulation, increase metabolism, enhance quality of sleep, reduce topical pains, release and remove toxins, and to generally develop a healthy, clean and more energetic presence. Helping your body to detoxify can be done in many ways. You can use over the counter herbal cleanses, fasts and specific diets backed up with supplements and medications. All of these when used under the guidance of a professional can be immensely helpful. In all instances of cleansing drinking lots of alkaline water will simply multiply the effectiveness of your efforts in a positive direction. Used in traditional medicine as a cure for rheumatism, pains on the knee and back, genital troubles, antidiuresis and covering marrow. Protects against body chills, preventing gray hear and regulating menstruation. Promotes blood circulation and reduces edema. 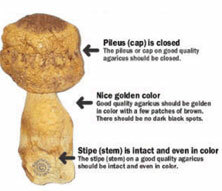 AAO certification proves the quality of our special Agricus mushroom. These organic mushrooms are naturally grown under powerful sunlight in the fertile red clay of Brazil without any artificial agents. Beta Glucans is known as a potent factor in natural cancer control. It is a steroid that has been used to assist in the regulation of cancer cells and is exceptional source of vitamins, minerals and amino acids. Agricus mushroom has also been described as improving the blood circulation from the effect of the infra-red ray Beta-glucan and Polysacchides that it contains. Used in restoration of liver and intestine, protection of eyesight, prophylactic chemotherapy, suppression of carcinogenic substance, extinction of cancer cells, suppression of cholesterol, strengthening of blood pressure, action of immunity, removal of fever, protection of liver disease, woman's disease, etc. Used for neuralgia, urarthritis, fluor, hypertension, vaginitis, etc. Also seen as a preventive or curative response to bone decalcification and osteoporosis. The end product of wood distilation - contains about 800 organic compounds with significant amounts of Ca, Na, Fe, Mg, Zn and SOD. Mocho sap radiates natural far infrared ray (FIR). When Acupeds are applied to the skin, you can see the change in color as certain waste substances are absorbed. This is widely used as a herb medicine in the Orient. Helps to make the human body warm without being dry and is used by herbalists as help treat nervousness, insomnia and to stimulate the liver and as a digestive aid etc. Made from crystalline igneous rock and used to improve fluidity and absorbability. Principal herb in Chinese medicine for diseases of the lungs and throat, and is commonly used for inflammatory conditions of the eyes, ears, and sinuses. The herb has a strong expectorant and antitussive effects and is included in many cough formulas. Used for myosalgia, ankylosing arthritis, promotion of blood circulation, blood control, glycemia control, diet, promotion of metabolism, neuropath cure, stroke prevention, etc. Tourmaline is best known as one of the only minerals to naturally emit far infrared heat and ionization. Only purest grade tourmailine is used in Acupeds which creates a resonance in the body that vibrates at the same frequency as water. 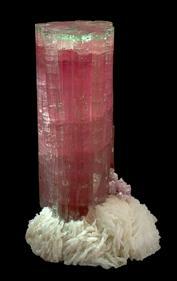 Tourmaline exerts a cleansing energy on our nervous system. This has a stabilizing and cleansing effect. This high quality product contains over 200 natural raw materials. Quality woods and bamboo are used including oak trees grown at Naraken in Japan. All come from a renewable source of wood that is harvested in an environmentally friendly way. From ancient times in Japan, wood was burnt and the art of making charcoal by wood distilation was developed. From the charcoal kiln, smoke billows upward. When this smoke is cooled and condensed, a thick brown /black liquid results. This liquid is raw pyroligneous acid (wood vinegar). This acid has been shown to warm the body, activate the skin, moisturize and act as an antibacterial. From this raw material, further refining is carried out to remove the tar and any other undesirable elements. The result is a beautiful liquid of a pale yellow color (very weak tea). This liquid is then aged for up to a year to produce the final high quality wood vinegar that can be consumed as a health tonic. It is condensed five times and contains no synthetic vinegar or starch. After the initial extraction process, the extract is dried for a period of six months. It is then filtered four times using the highest quality Umbamegashi-Binchou Charcoal . It is then dried one more time for an additional six months before it can be considered for use. This process yields a very concentrated extract with an extremely high level of purity. Wood vinegar and bamboo extract are naturally condensed 5 times until both become a powder. This drying phase lasts for a period of over 8 months and makes for an exceptional purity of product. Then finally this essence, after a last quality control test, goes into the Acuped Detox Foot Patch. Additionally, the quantity of this powder for this product has been increased from a conventional 3.2g to 4.0g. 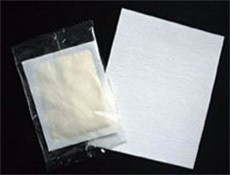 Other food pad products contains starch powder in order to maximum profit and also differ in terms of quality of ingredients and length of preparation. 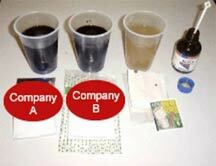 If a tincture of iodine is added to the sap sheets in order to test the purity of the products. Product from company A(KINOTAxxxx) and B(Netteruxxxx) will change their color, but Acuped DeTox Foot Patch does not. Research conducted by two Japanese doctors over a 26 years period have unlocked a beneficial mystery behind the longevity and homeostasis (enhanced state of wellness and resistance to disease) of trees. They showed Tree Essence has tremendous absorption qualities and a positive effect on many functions of the body. Tree Essence, or pyroligneous acid, is a sap extracted from tree cells. It exhibits exceptional permeability and sterilizing properties. Dehydrated tree saps infiltrate, absorb, detoxify, and sterilize. This is the basis of their ability to assist in disease prevention through reduction of body toxicity. The Eucalyptus tree, for example, is probably the most powerful antiseptic in its class as ozone is formed upon exposure to air. It has a proven disinfectant action destroying unhealthy flora and microbes. This tree grows to over 350 feet and is amongst the tallest trees in the world. 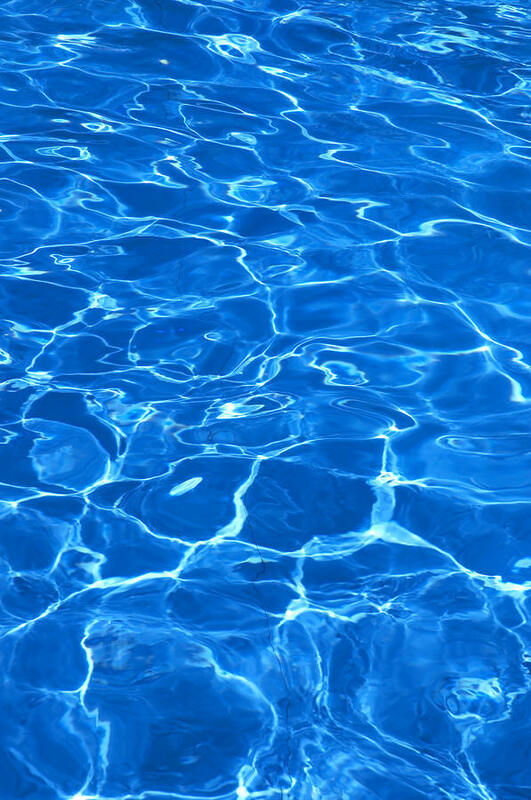 To provide enough water to it's upper most part, it has an amazing capacity to absorb water. The tree ability to purify large amounts of ground water through the roots into high quality water transported into the trunk and leaves, as well as harnessing the absorbing and detoxifying power of the wood sap, made the sap a natural ingredient for human use. It radiates a fine fragrance and has a sterilization effect to its surroundings.